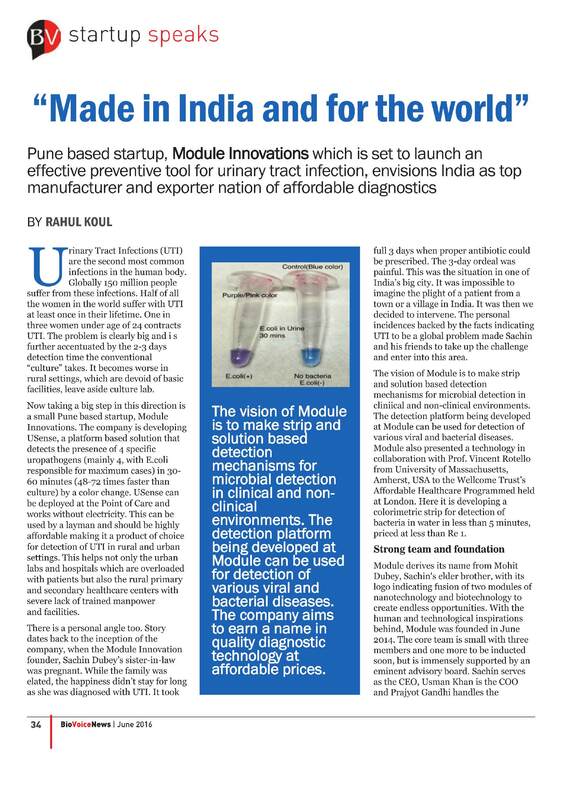 Venture Center’s incubatee company WeInnovate Biosolutions Pvt. 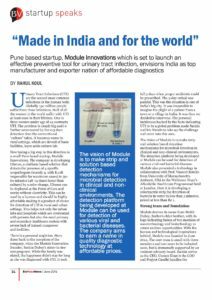 Ltd. was covered in an article in Medium. 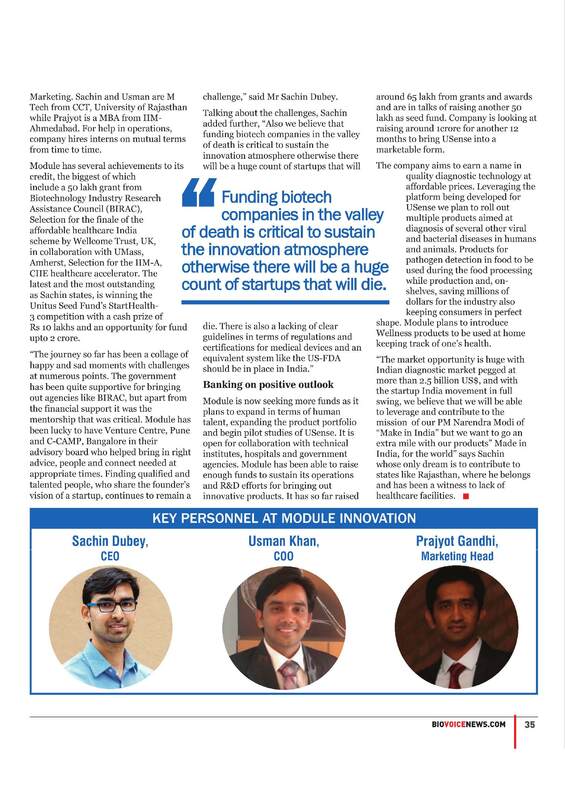 Venture Center resident incubatee featured in BioVoice in their special startup series. 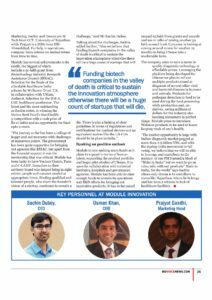 The article titled ” A HEALING TOUCH FOR IGNORED WOUNDS” talks about how WeInnovate Biosolutions is aiming to address the rapid wound healing through an unique and novel formulation called “HEALRAP”. 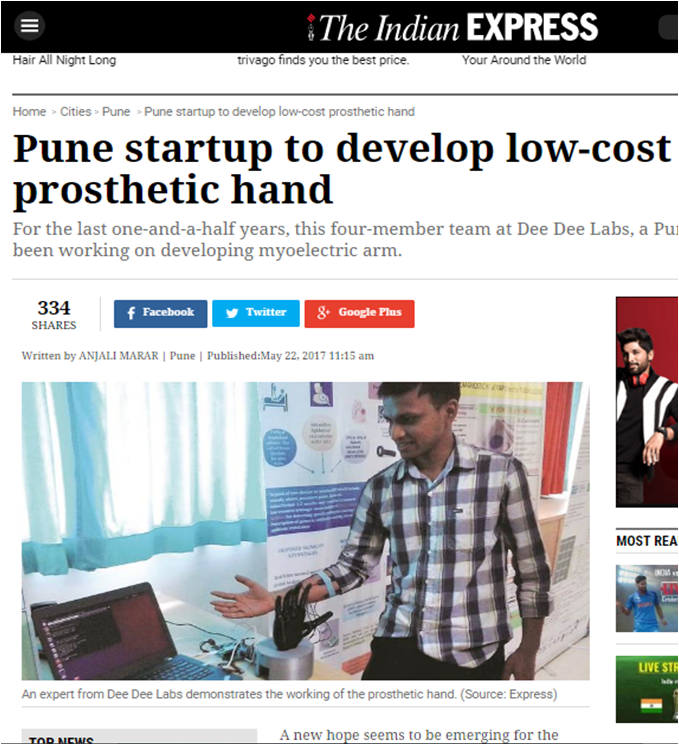 Venture Center resident incubatee Dee Dee labs Pvt Ltd is featured in The Indian Express. 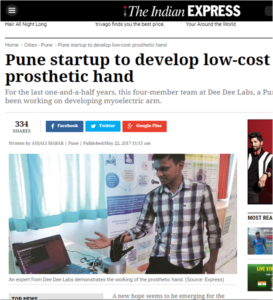 Venture Center resident incubatee Synthera Biomedicals Pvt Ltd is featured in Sakal Pune and Times of India. 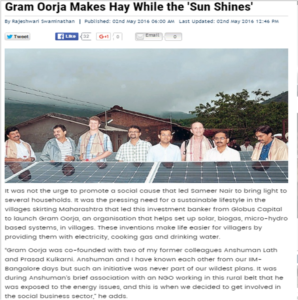 Venture Center’s resident incubatee, Gram Oorja Solutons Pvt Ltd is featured in Indian Express in their article “Gram Oorja Makes Hay While the ‘Sun Shines’ ” published on 2nd May 2016. 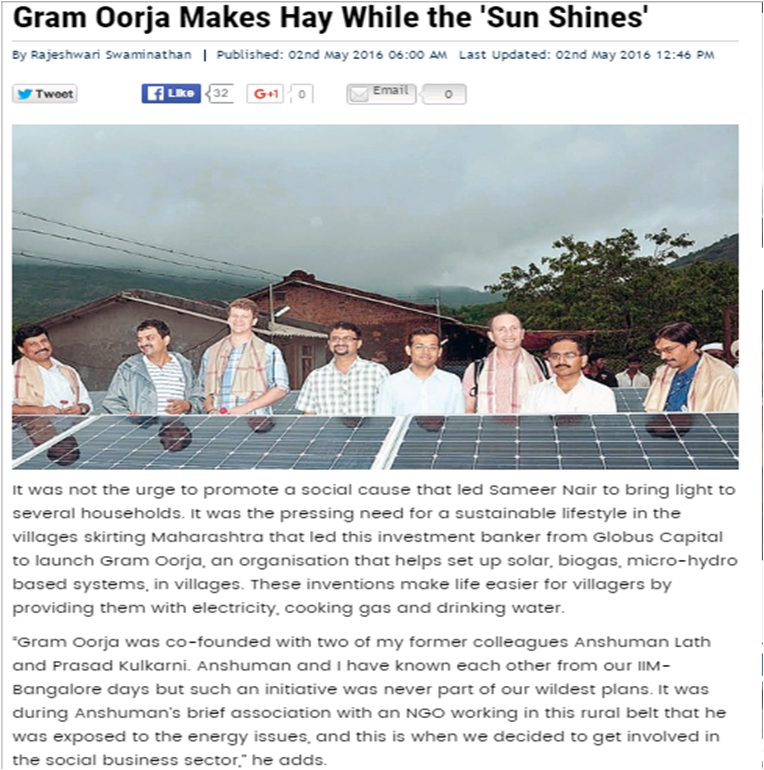 The article talks about how Gram Oorja was incepted by the founders and presently how many villages are benefiting from their work.